Many plants will kill cattle this week at the old price of €3.75 and €3.85/kg, but most of these animals were bought up to two weeks’ ago. 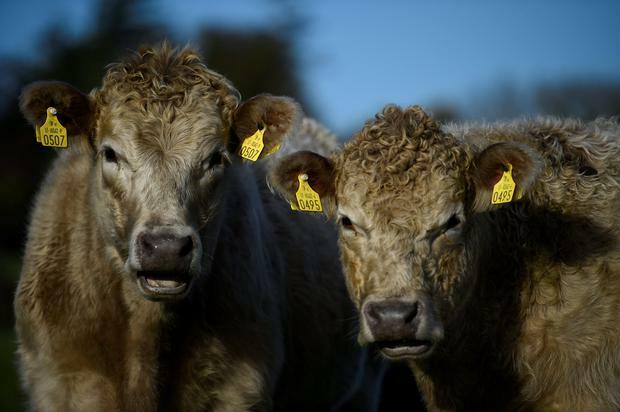 meat factories to drive down the price of cattle. naked opportunism by the factories on the back of beef farmers”. when the focus needs to be on Brexit,” he said. bulls have been hit for €200 per head. main meat factory bosses and MII on the cattle price issue. are expecting cattle prices to rise”. The factories would claim that the very high kill figures we have seen this spring are contributing to price pressures, yet they continue to mill their way through stock despite claims they can’t sell it and they can’t store it. Last week’s kill was 32,728, which is back on the previous figure of 34,299, however last week was a short week with the bank holiday. The first indication I had that there might be a pull in prices didn’t come from any of the big players, it came 10 days ago during conversation with a smaller independent factory. Is it time that winter finishers, and beef farmers as a whole, take a leaf out of the French farmers’ cap?